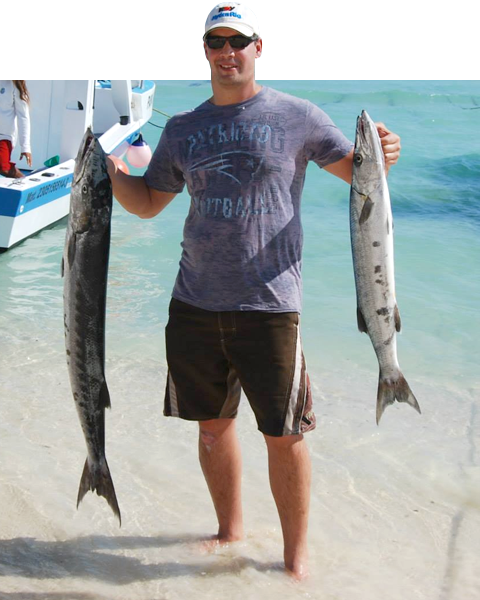 Fishing with Ivan is specialized in customized Playa del Carmen fishing charters and combo snorkeling tours with a personal, fun and professional crew. 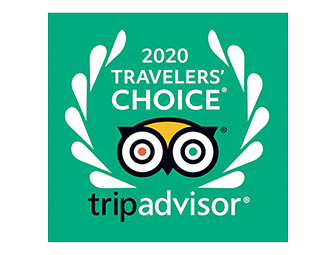 Over the years we have established a highly credible reputation for providing excellent fishing charters with outstanding service and hospitality. All four of Ivan’s boats are professionally rigged and come with all of the standard safety features you would expect. 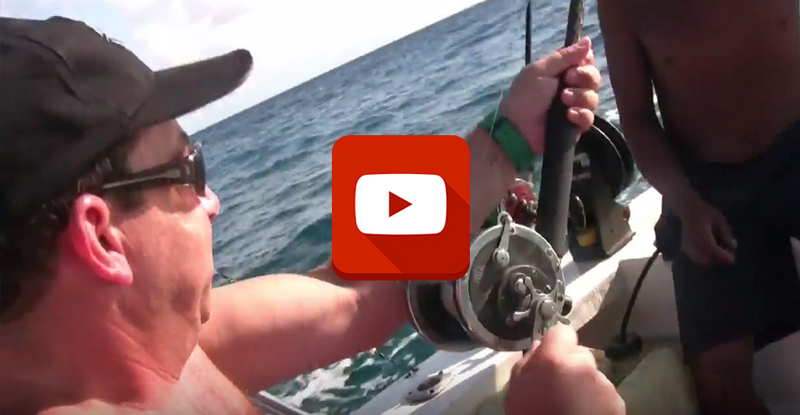 We are a member of the local fishing association and all boats are moored conveniently in the center of Playa del Carmen. You can book directly through this website, which guarantees best price and quality. 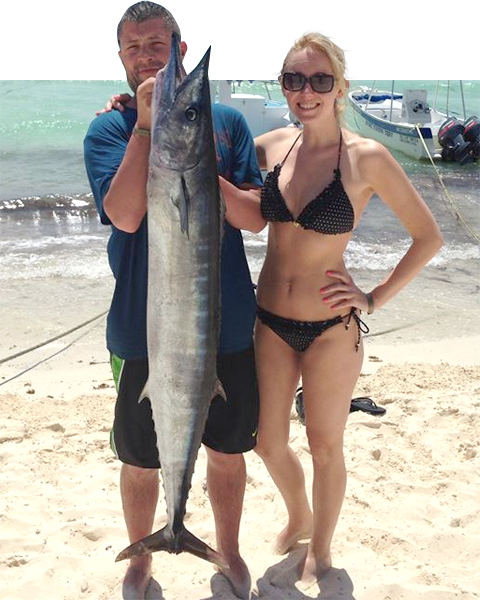 The deep sea fishing is highly productive along the coast of the Riviera Maya. The powerful currents in the channel between the coast of the Yucatan Peninsula and the Island of Cozumel create the perfect habitat for all types of game fish. Due to the unique topography with the big drop off within one mile from the coast, which parallels the coastline for miles in both directions, the main fishing grounds are reached within 10 minutes after departure. This is a mayor advantage and great value as almost no time is wasted on travelling to the fishing grounds. Checkout our fishing calendar to view the optimal months for all of the fish we target in the Riviera Maya. 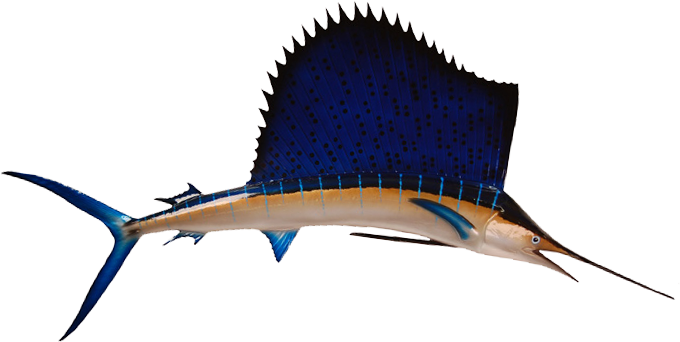 On the Tours page you can find our most popular fishing charters and snorkeling tours. If you don’t see exactly what you’re looking for, don't hesitate to contact us for any special request you may have.